The UK has a fantastic small press scene. To celebrate the people behind the imprints, and help out the writers that are looking to them for publication, we've asked a number of editors to share what they're working on - and what they're looking for. This week, our guest is George Sandison from Unsung Stories. Could you tell us a bit about who you are and what you're doing? The elevator pitch is ‘literary and ambitious genre fiction’. We also look for debuts, so for us it’s about giving new authors a home where they don’t have to compromise. There’s a tendency in the industry for emerging writers having to prove themselves before they attempt more outré works – we don’t agree! 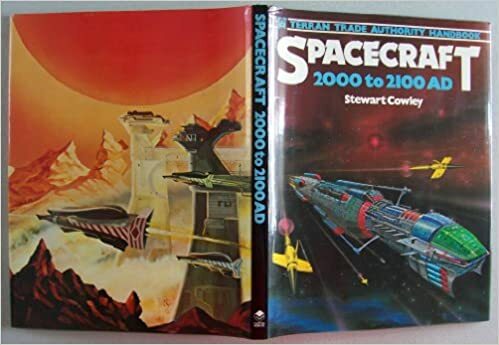 One of the things that might be to blame, is my primary school library, which had a copy of Terran Trade Authority: Spacecraft 2000-2100. Imagine an 8-year-old child propping that on his knees, reading an aircraft recognition guide for an FTL future before a spelling test. Then, as a teenager, I devoured Iain Banks’ writing and the idea of choosing genre or literature just… evaporated. Now I’m all grown up, and publishing, it means Unsung doesn’t see distinctions between ‘literary’ and ‘genre’ fiction. Writers everywhere, our writers, are already proving it’s true. There’s always been a progressive and experimental soul to genre fiction, and excellent writing published under its mantle. We want to help that evolve. Also, we’re on a small crusade to make SF/F cover art better. There are all sorts of stock clichés that you see on shelves, whereas we match each book to a specific artist, which has had some pretty good results so far. What are the stories or the novels that you want to publish? That’s probably something you should ask the writers. The kind that had to be written. The kind that, when you read it, make you think, I wish I’d had that idea. Maybe the unifying characteristic is all of our books have a very clear sense of identity and purpose. They’re not trying to be like anything else. What have you recently published, and what's coming soon? We’ve just published Metronome by Oliver Langmead, which is a riotous burst of creativity, about the power of music and the imagination. Oliver has a real knack for imagery and creating vivid, tangible worlds, and there are big ideas to get your teeth into as well. Lucy Hounsom (Worldmaker Trilogy) said it's 'a deep and often beautiful foray into the nature of dreaming, with imaginative overtones of Gaiman and Borges'. It’s his second book with us, after Dark Star, his science fantasy noir epic poem. After that we’ve got Pseudotooth by Verity Holloway, a debut fantasy about a young girl plagued by pseudoseizures. It’s got all the marks of classic portal fantasy, but really does its own thing with the ideas. There’s a great forgiving and compassionate soul to this book, which I love. Finally, we’re publishing Malcolm Devlin’s debut collection, You Will Grow Into Them. Malcolm follows in the steps of Robert Aickman, Arthur Machan and Jeff Vandermeer by crafting elegant, unsettling and downright weird stories. Interzone and Black Static readers will already know how good he is, and this really is one of the finest collections of short fiction I’ve read. Any advice to authors on the process of submitting? Cover email, details, formatting, etc? The most effective submission details are simple, engaged and honest – just a bit of information about who you are, your relevant credits and why you’re submitting to Unsung is all you need. Is there anything about a story or its presentation that will immediately knock it out of consideration? An 'auto-fail'? The major auto-fails we have are the kind of thing that apply to any publisher, really. Excessive typos and poor grammar. Un-proofed manuscripts. Ego isn’t a great look either. Don’t tell us how amazing your work is, or why it will sell thousands of copies – your work will tell us that on its own, or it won’t. Other quick fails will likely be about the story, most often because of clichés or wooly starts: stories where the first page is pre-amble or introspection instead of something important to know; a writer trying to write a story; people waking up in the first line; that kind of thing. Also – no PDFs. We send things to ereaders a lot of the time, so fixed layout PDFs are just the pits. The nasty part of editing... what advice do you have for writers if they're turned down? First of all, read the rejection email properly. It’s easy to switch off after the no, but there’s more there. We might give an indication of what we did or didn’t like. We might say, ‘please send us more’. If we say it’s not a fit, that doesn’t necessarily mean we didn’t like the writing; it means we’re not the right home for the work. And keep working. I’m a firm believer that you never finish a book. Instead, at some point, the editor prizes it out of your fingers and tells you you’re not allowed to make any more changes. With sufficient distance, everything you write will reveal flaws, or opportunities. Any other tips for those sending you work? Remember you’re dealing with human beings. Be friendly and polite, like you want us to be to you. A little bit of empathy goes a long way. Are you looking for new stories right now? We’re always looking for short stories. We do also take unagented submissions for novels but we’re closed right now whilst we get the 2017 schedule to press. Best bet with that is to check in on the site for the submission status. Learn more about Unsung Stories and follow them on Twitter at @UnsungTweets.